Director, Biomedical and Multimedia Information Technology (BMIT) Research Group, Funding Head, School of Information Technology and Funding Director, Institute of Biomedical Engineering & Technology at the University of Sydney. Koichi Ito is Professor of Electrical Engineering at Chiba University. Professor Koichi Ito received the PhD degree from Tokyo Institute of Technology, Japan. He is currently a Professor Emeritus and Visiting Professor at the Center for Frontier Medical Engineering, Chiba University, Japan. His research interests include antennas for mobile communications and medical applications, evaluation of interaction between electromagnetic waves and a human body by use of phantoms, and antenna systems for body-centric wireless communications. Professor Ito is a Life Fellow of the IEEE and a Fellow of the IEICE. He currently serves as the chair of IEEE AP-S, a Councilor to the Asian Society of Hyperthermic Oncology (ASHO), a delegate to the European Association on Antennas and Propagation (EurAAP) and Chair of Commission K, Japan National Committee of URSI. James Hwang is Professor of Electrical Engineering at Lehigh University. He graduated with a Ph.D. degree in Materials Science at Cornell University. After years of industrial experience at IBM, Bell Labs, GE, and GAIN, he joined Lehigh in 1988. He cofounded GAIN and QED; the latter became the public company IQE. Between 2011 and 2013, he was a Program Officer for GHz-THz Electronics at the U.S. Air Force Office of Scientific Research. He has published more than 350 refereed technical papers and has been granted eight U. S. patents. He is an IEEE Life Fellow. James C. Lin received the BS, MS and PhD degrees in Electrical Engineering from the University of Washington, Seattle. He is Professor Emeritus at the University of Illinois in Chicago (UIC), where he has served as Head of the Bioengineering Department, Director of the Robotics and Automation Laboratory, and Director of Special Projects in the College of Engineering. He is a Fellow of AAAS, AIMBE and URSI, and a Life Fellow of IEEE. He held a NSC Research Chair from 1993 to 1997 and served for many years as an IEEE-EMBS distinguished lecturer. He is a recipient of the d’Arsonval Medal from the Bioelectromagnetics Society, IEEE EMC Transactions Prize Paper Award, IEEE COMAR Recognition Award, and CAPAMA Outstanding Leadership and Service Awards. He served as a member of U.S. President’s Committee for National Medal of Science (1992 and 1993). Professor Lin has served in leadership positions of several scientific and professional organizations including President of the Bioelectromagnetics Society, Chairman of the International Scientific Radio Union (URSI) Commission on Electromagnetics in Biology and Medicine, Chairman of the IEEE Committee on Man and Radiation, Vice President US National Council on Radiation Protection and Measurements (NCRP), and member of International Commission on Nonionizing Radiation Protection (ICNIRP). He also served on numerous advisory committees and panels for the U.S. Congress, Office of the U.S. President, National Academy of Sciences, National Research Council, National Science Foundation, National Institutes of Health, Marconi Foundation, and the World Health Organization. Dr. Lin received 1994 UCLA Outstanding Ph.D. Award, 1997 ETA KAPPA NU Outstanding Young Electrical Engineer Honorable Mention Award, 2007 IEEE MTT-S N. Walter Cox Award, 2016 NCTU Distinguished Alumnus Award, and 2016 IEEE RFIC Symposium Tina Quach Outstanding Service Award. He received the University of Florida Technology Innovator Awards in 2011, 2012, 2013, 2014, 2016, and 2017 for patents licensed in prior calendar year. 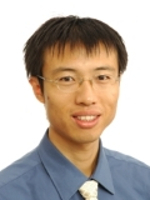 Leadership position (such in IEEE, SPIE, university, institute): Dr. Lin is a Fellow of IEEE, and has been an active volunteer in IEEE Microwave Theory and Techniques Society (MTT-S). He served as an elected MTT-S AdCom member for two terms (2006-2011), and was the Chair of Technical Coordinating Committee, overseeing all technical committees in the society and exploring new technical fields. He served as the Editor-in-Chief of IEEE Transactions on Microwave Theory and Techniques for the term of 2014-2016, and was the Transactions' Associate Editor in 2006-2010. He has served on several conference committees, and was the General Chair of 2008 RFIC Symposium, Technical Program Co-Chair of 2006 and 2007 RFIC Symposia, Technical Program Chair of 2009 Radio and Wireless Symposium, and General Co-Chair of 2012 Asia-Pacific Microwave Conference. Dr. Lin joined NSF as a Program Director in October 2016. He is a Professor in the Department of Electrical and Computer Engineering, University of Florida, Gainesville, FL. Before joining University of Florida in 2003, Dr. Lin worked for AT&T/Lucent Bell Laboratories and its spin-off Agere Systems from 1994 to 2003, in both Murray Hill and Holmdel, NJ. His research area is RF circuits and systems, and the past research topics include biomedical radar, wireless power, wireless sensor systems, RFIC/MMIC for communications and sensing, high-speed circuits, and active integrated antennas. He has authored or co-authored over 260 technical publications in refereed journals and conference proceedings, 2 books, and 5 book chapters. He holds 18 patents and has several other patent applications. Since joining University of Florida, he has graduated 26 Ph.D. students. Dr. Robert H. Caverly received his Ph.D. degree in electrical engineering from The Johns Hopkins University, Baltimore, MD, in 1983. He has been a faculty member at Villanova University in the Department of Electrical and Computer Engineering since 1997 and is a Full Professor. Previously, he was a Professor for more than 14 years at the University of Massachusetts Dartmouth. Dr. Caverly's research interests are focused on the characterization of semiconductor devices such as PIN diodes and FETs in the microwave and RF control environment. He has published more than 100 journal and conference papers and is the author of two books, Microwave and RF Semiconductor Control Device Modeling and CMOS RFIC Design Principles from Artech House. An IEEE Fellow, Dr. Caverly is the Editor-in-Chief of the IEEE Microwave Magazine and a member of the MTT-S AdCom. IEEE Sensors Council Distinguished Lecturer. IEEE MTT (Microwave Theory and Techniques) Society Distinguished Microwave Lecturer. IEEE Region 5 Outstanding Engineering Educator award. Research in Medicine Milestone award, The Heroes of Healthcare. Tech Titans Technology Innovator Award. The O'Donnell Award in Engineering, by The Academy of Medicine, Engineering and Science of Texas. Lockheed Martin Aeronautics Company Excellence in Engineering Teaching Award. Editor-in-Chief. IEEE Journal of Electromagnetics, RF and Microwaves in Medicine and Biology. Associate Editor. IEEE Transactions on Microwave Theory and Techniques. Chair. 2018 IEEE IMBioC International Microwave Biomedical Conference. Chair. MTT-10 Biological Effect and Medical Applications of RF and Microwave Technical Committee. Co-Chair. SPIE Photonics West, Micromachining and Microfabrication Process Technology Conference. Chair. SPIE International Symposium on Micro-electronics, MEMS and Nanotechnology, Device and Process Technologies for Microelectronics, MEMS and Photonics Conference. J.-C. Chiao is Greene professor and Garrett professor of Electrical Engineering at University of Texas – Arlington. He received his PhD at Caltech and was with Bellcore, University of Hawaii-Manoa and Chorum Technologies before he joined UT-Arlington in 2002. Dr. Chiao has published more than 260 peer-reviewed papers and received 12 patents. He received the 2011 O'Donnell Award in Engineering presented by The Academy of Medicine, Engineering and Science of Texas. He received the Tech Titan Technology Innovator Award; Lockheed Martin Aeronautics Excellence in Engineering Teaching Award; Research in Medicine milestone award by Heroes of Healthcare; IEEE MTT Distinguished Microwave Lecturer; IEEE Region 5 Outstanding Engineering Educator and individual Achievement awards. Currently, he is an IEEE Sensors Council Distinguished Lecturer and serving as the Editor-in-Chief for Journal of Electromagnetics, RF and Microwaves in Medicine and Biology. T.-S. Jason Horng received the Ph.D. degree from the Electrical Engineering Department, UCLA, in 1992. Since August 1992, he has been with the Electrical Engineering Department, National Sun Yat-Sen University, Taiwan, where he is now a Distinguished Professor. He has authored or coauthored over 250 technical publications in refereed journals and conference proceedings. He holds over 50 worldwide patents. His research expertise covers RF and microwave systems for wireless communications and Doppler radars for biomedical applications. 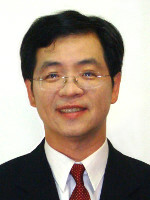 Dr. Horng was the founder chair of the IEEE MTT-S Tainan Chapter in 2009, and an associate editor of the IEEE Transactions on Microwave Theory and Techniques from 2012 to 2015. He is now a member of the IEEE MTT-S Technical Committee MTT-10 and a Fellow of IEEE. Nian Sun is founder and chief technical advisor of Winchester Technologies, LLC, and professor at the Electrical and Computer Engineering Department, Director of the W.M. Keck Laboratory for Integrated Ferroics, Northeastern University, and Thrust Leader of 2-D Multiferroics in the NSF ERC Transitional Applications of Nanoscale Multiferroic Systems (TANMS). He received his Ph.D. degree from Stanford University. Prior to joining Northeastern University, he was a Scientist at IBM and Hitachi Global Storage Technologies. Dr. Sun was the recipient of the NSF CAREER Award, ONR Young Investigator Award, the Søren Buus Outstanding Research Award, etc. His research interests include novel magnetic, ferroelectric and multiferroic materials, devices and subsystems. He has over 240 publications and over 20 patents and patent applications. One of his papers was selected as the “ten most outstanding full papers in the past decade (2001~2010) in Advanced Functional Materials”. Dr. Sun has given over 100 plenary or invited presentations and seminars in national and international conferences and universities. He is an editor of Sensors, and IEEE Transactions on Magnetics, and a fellow of the Institute of Physics, and of the Institution of Engineering and Technology. Changzhi Li received the B.S. degree in electrical engineering from Zhejiang University, China, in 2004, and the Ph.D. degree in electrical engineering from the University of Florida, Gainesville, FL, in 2009. In the summers of 2007–2009, he was first with Alereon inc. Ausitn, TX, USA and then Coherent Logix inc. Austin, TX, USA, where he was involved with ultrawideband (UWB) transceivers and software-defined radio, respectively. He joined Texas Tech University as an Assistant Professor in 2009, and became an Associate Professor in 2014. His research interests include biomedical applications of microwave technology, wireless sensors, and RF/analog circuits. 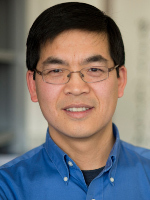 Dr. Li is an associate editor for the IEEE Transactions on Circuits and Systems I, and an associate editor for the IEEE Journal of Electromagnetics, RF and Microwaves in Medicine and Biology. He served as an associate editor for the IEEE Transactions on Circuits and Systems II in 2014 and 2015. He served as the TPC co-chair for the IEEE MTT-S International Microwave Biomedical Conference (IMBioC) in 2018, and the TPC co-chair for the IEEE Wireless and Microwave Technology Conference (WAMICON) in 2012 and 2013. He is a recipient of the IEEE MTT-S Outstanding Young Engineer Award, the IEEE Sensors Council Early Career Technical Achievement Award, the ASEE Frederick Emmons Terman Award, the IEEE-HKN Outstanding Young Professional Award, the NSF Faculty Early CAREER Award, and the IEEE MTT-S Graduate Fellowship Award. He received nine best conference/student paper awards as author/advisor in IEEE-sponsored conferences. Katia Grenier received her Ph.D. degree in electrical engineering from the University of Toulouse, France, in 2000. After a Postdoctoral Fellowship at Agere Systems (Bell Labs) in 2001, she joined the LAAS-CNRS lab, in France and was engaged in RF MEMS circuits on silicon. From 2007 to 2009, she was with the Laboratory for Integrated Micromechatronic Systems of CNRS (LIMMS-CNRS) in the University of Tokyo, Japan, where she was engaged in launching research activities on miniature microwave-based biosensors. Her research interests in LAAS-CNRS are now focused on the development of micro/nano systems for biological and medical applications. Award Committee Chair of IEEE IMWS-AMP 2015, ACES 2017. Xudong Chen received the B.S. and M.S. degrees in electrical engineering from Zhejiang University, China, in 1999 and 2001, respectively, and the Ph.D. degree from the Massachusetts Institute of Technology, Cambridge, MA, USA, in 2005. Since then, he joined the National University of Singapore, Singapore, where he is currently an Associate Professor. His research interests are mainly electromagnetic wave theories and applications, in particular with a focus on inverse problems and imaging. He has published 140 journal papers on inverse scattering problems, material parameter retrieval, microscopy, and optical encryption. He has authored the book Computational Methods for Electromagnetic Inverse Scattering, Wiley, 2018. Dr. Chen was a recipient of the Young Scientist Award by the Union Radio-Scientifique International in 2010. 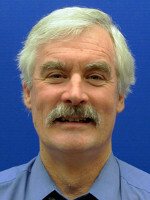 He has been an Associate Editor of the IEEE Transactions on Microwave Theory and Techniques since 2015. He has organized twenty sessions on the topic of inverse scattering and imaging in various conferences.